This little device is very cool. 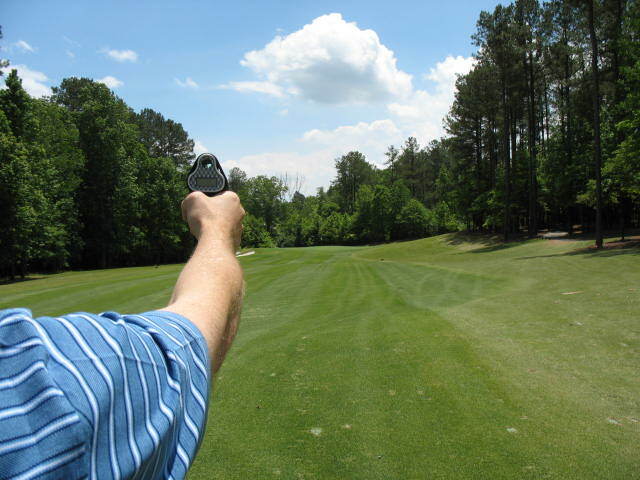 It's a laser that, when you wave it over the pin, will give you the exact yardage. They let all members use this tool during their round....hey, that's the least they could do for the $55k initiation fee! I liked it, but if they invent one that shows you the countour of the green, then I'll be impressed.